When you are a home owner, some responsibilities are a given. One of them is keeping your lawn healthy and looking good as it will most definitely improve the overall appearance of your property. But that will take some work. You'll need to regularly mow your lawn which will leave grass clipping everywhere and in the fall, leaves will cover everything. A good way to deal with that is raking; a better way would be getting a lawn sweeper. Why should you get a Lawn Sweeper? Also known as a leaf sweeper, a lawn sweeper is a gardening tool that's a much more efficient alternative to rakes and leaf blowers. It will remove all sorts of debris, be it leaves, twigs, pine needles and even some types of rubbish that may end up on your lawn. A lawn sweeper is a mechanical gardening tool with wheels which uses rotating brushes – those brushes sweep up all the debris from your lawn. While doing that, the brushes push it towards and into a collection container, called a hopper. There's no gathering everything in little piles all over your lawn and then shoving it in plastic bags manually, as you would with a rake. The lawn sweeper does everything for you. Three different types of lawn sweepers are available for you to choose from, depending on your personal preferences and needs. This type of lawn sweepers is completely hand-powered. What this means is that, as with manual lawn mowers, you'll be the source of its power and maneuvering. As you push the lawn sweeper forward, the wheels transfer the generated power to the brushes, which in turn collect the debris into the hopper. You'll be doing all the work yourself, but with a little help from your sweeper - still better than using a rake. These have some advantages, though. First of all, there will be no noise, as there is no motor. The absence of the engine also means that the sweeper will be very lightweight and that the maintenance will be super easy. If there are no complicated parts, you won't have to worry about them malfunctioning. This type of lawn sweepers is ideal for smaller properties, while larger estates might demand a different kind. Even though these do resemble the push lawn sweepers in nearly everything, the main difference is in what powers the brushes. Here, there is a motor powered by either gas or electrical energy. If the model is self-propelled, it will move on itself at speed comfortable enough for you. But, since these have a motor, they will be significantly heavier than the hand-powered ones and loud. Even though they do all your work for you, you still need to maneuver it around, and due to their weight, that can sometimes be quite hard. These are ideal if you have a larger lawn and wish to be done with your gardening work quickly. As the name suggests, these lawn sweepers are the ones you tow by a vehicle, probably a garden tractor or a riding lawn mower. They work as an attachment to a gardening vehicle. These are ideal for large properties as they are characterized by their width – they are mostly over 40 inches wide, so they cover a larger surface area and collect way more debris than the other two types of lawn sweepers. If you already own a gardening vehicle, this is the lawn sweeper for you; if not, unless you plan on buying one, this one is not for you. Yes, you could do the removal of debris with something more simple like a rake, but there are way too many benefits of using a mechanical gardening tool such as a lawn sweeper. As you might know, raking takes a lot of time – first, you use the rake to collect all the leaves and other debris into piles and then you need to bag it. It can take hours out of your afternoon. To keep your lawn clean, but still have some time to relax after, you should get yourself a lawn sweeper of any of the types mentioned above. The work needed to keep your lawn looking good will always be there, it's up to you to make it easier on yourself by buying a lawn sweeper. You're probably used to garden work taking a toll on your body and consider that a given. In some cases, that might be true, but when it comes to lawn sweeping, there's no need to wear yourself out with using the rake, when you can use a lawn sweeper. It's a well-known fact that raking leaves you tired, with a sore back and even possible blisters from gripping the handle hard while you're working. 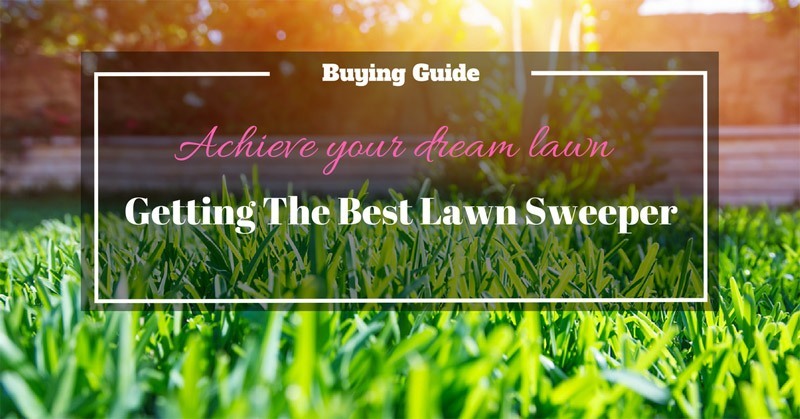 Do yourself a favor and using our guide, pick out a lawn sweeper that will make everything a lot easier. Your back will be beyond grateful to you. This model is another one of the tow-behind types, so its 42-inch width shouldn’t surprise you. That means that you will be able to cover a large surface area a lot faster than with a smaller lawn sweeper. It’s constructed in such a way that it makes it easy to empty the hopper while you’re still sitting comfortably in your seat. When it comes to actual sweeping, it does the job rather well, with a reported effectiveness of around 90% - some leaves might be left if they’re lying too flat on the ground for the sweeper to pick them up. One of the problems that occurred with this model is related to the instructions that seemed rather confusing to more than a few users. That’s not much of an issue if you count in the fact that the product comes partially assembled, so you won’t need to do much work. Considering the price combined with other factors, we’d say it’s worth the money. With this model, you will save yourself a lot of time and get an excellent helper in the domain of lawn sweeping. This model is a tow lawn sweeper, which means it’s larger in the sense that it covers a much bigger surface area than some of the other models - its width is 44 inches. As mentioned earlier, for a tow sweeper you need to own already (or buy) a vehicle to which it will be attached. What's great about this product is its hopper – the size of it reduces the times you’ll need to empty it and start again. Also, the manufacturer states that you can manage the dumping of the debris without leaving your seat. That, to us, seems like a great time-saver. If you wish to improve its effectiveness further, you can always buy an Agri-Fab de-thatcher – same supplier, different product. The de-thatcher will help with some debris that might be hard to sweep up. Let’s talk about the important thing – the money. This one is the most expensive lawn sweeper on the list, but is it worth it? We certainly think so. Another tow lawn sweeper on this list, with a price that falls somewhere in the middle. What makes this model stand out in the crowd is the substantial width of 50 inches. The surface area that it covers is outstanding, which will save you a lot of time when it comes to your lawn sweeping, so if you have a large property, this will be a lifesaver. Also, one pass will be more than enough for this sweeper to pick everything up and leave your lawn looking great. One of the problems that you may encounter is the hopper. Even though it’s pretty big, it won’t hold a larger weight well and may even wear through quickly, especially on the bottom because it hangs low. As long as you don’t overload it, you’ll probably be fine. If it still happens, feel free to contact the manufacturer and ask for a replacement. Hopefully, they will accept to provide you one. Another thing to keep in mind is that it doesn’t fold and it takes up a lot of storage space. One thing that could help, though, is that the hopper is detachable, so to save some space, you can remove it when you’re not using the lawn sweeper. This one is a hand-powered lawn sweeper, which means its performance depends on you pushing it. Still better than raking your entire yard, but to be honest, it will take some effort. What’s good about a land sweeper like this is that its design is pretty straightforward and lightweight, light enough even to hang it in your storage room. One of the biggest problems with this model seems to be the hopper, as it doesn’t have a large capacity, so be prepared to empty it more often. Since we’ve already mentioned emptying the hopper, it seems that some users had a problem with that too, in a sense that it’s not that easy to dispose of the collected debris into a bag. Also, keep in mind that it will not be effective on the edges of your lawn, which means that you will probably need to do some raking – not much, but still. When it comes to pricing, it’s rather reasonable – it seems like an adequate amount of money to spend on a simple, hand-powered lawn sweeper. 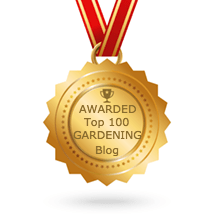 Even though some aspects of it that aren’t so great, it will still do what it needs to shorten the time you spend doing your gardening work. This hand-powered lawn sweeper is the cheapest one on the list, so if you’re looking for an effortless way to take care of your lawn, but you’re on a budget, consider buying this one. As with other push lawn sweepers, the main characteristic of this model is that it’s lightweight and folds and hangs easily to save storage space. Its weight also makes it easy to maneuver and push, which is always a huge plus with this type of lawn sweepers. Another good thing about it worth mentioning is that it’s possible to adjust the height of the brushes for more efficient sweeping. When it comes to flaws, there are some that you need to take into consideration. Most of them are hopper-related. One is that the hopper has a smaller capacity, which means you’ll have to empty it quite often. Also, it doesn't have a proper cover, so if it’s windy outside or the hopper is full, some leaves might fall back out on the lawn, demanding you to go over the lawn again to make sure you’ve collected everything. Now that we've gone through the list of the top 5 models available on the market, it's time to weigh in on the pros and cons of every one of them, to decide who gets to be called the winner. There are a lot of factors to include in this decision, money being one of them. If you would like to buy a lawn sweeper that is budget-friendly, opt for a hand-powered one. On the other hand, if you wish to go all out, go for a high-quality, sturdy tow sweeper. Another factor to include in the decision-making process is the size of the lawn you'll be working on – not every yard demands a lawn sweeper over 40 inches wide. Even though it was hard to decide, in our opinion, the winner is Brinly STS-427LXH Tow Behind Lawn Sweeper. But no matter who we proclaimed is the best on this list; it’s up to you to decide which product will work best in your situation.